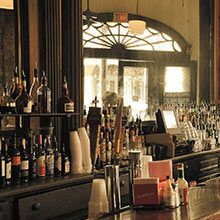 We've scoured the Big Easy to provide you a list with the best Bloody Marys around town from classic concoctions to libations with wild and crazy accoutrements. 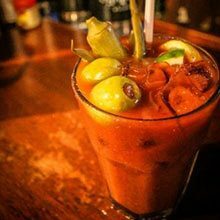 As a city that prides itself on the art of brunching, it's no surpise our Bloody Marys are delicious no matter where you go. A few restaurants even bottle their recipes so we can experience at home. Our favorites that deliver direct to door are Daisy Dukes Signature Mix and Jester's Spicy Creole Bourbon Street Blend. This Bloody Mary is as much a meal as it is a drink. 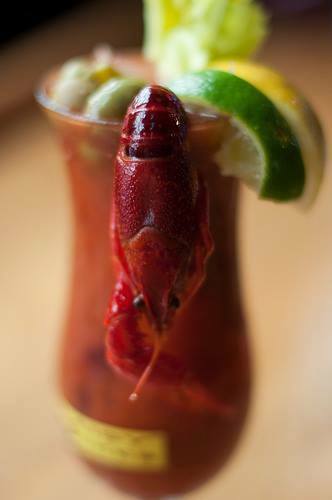 It’s made with Bobby Hebert’s own Bloody Mary mix, with infused Absolute Pepper Vodka, fried shrimp, crab cake, and bacon. As if that’s not enough, it’s garnished with lemons, limes, cocktail onions, spicy green beans, and stuffed olives. It’s not only tasty, it’s a work of art. This signature cocktail has Tito's Vodka infused with basil and garlic, mixed with Zing Zang, fresh lemon and lime juice, Tabasco Hot Sauce and Worcestershire, garnished with pickled spicy beans, bacon and an olive. Throw back a few while listening to live music that starts everyday at 4PM (1PM on Saturday!). This 14-year-old Bloody Mary recipe is one of the best in town. No mixes here...only fresh ingredients, rich flavor and a little kick. We especially enjoy sipping ours on the balcony of this iconic location. 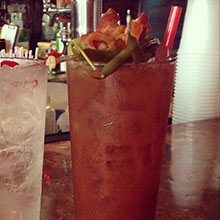 Brunch without a Bloody Mary is just plain silly. 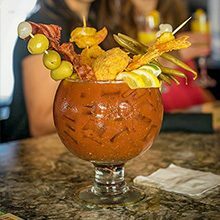 Historic Tujague's Restaurant offers Bloody Marys for just $3 during brunch and lunch everyday until 3 p.m.
Daisy Dukes serves up an award winning Bloody Mary 24 hours a day. Our favorite part: free refills with the purchase of an entree. Now that's a deal! Ralph's on the Park makes one of their signature Bloody Marys with basil and lemon infused vodka. The cocktail is refreshing and eye opening. 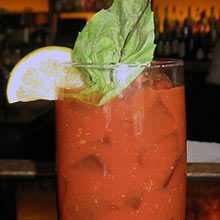 We're also a big fan of the Chipotle Bloody Mary that's teeming with jalapenos! If you find yourself anywhere near Esplanade Avenue this weekend, head over to Café Degas for their Saturday Brunch. 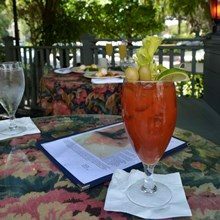 Start the experience with their Bloody Mary, by far one of the best in the city. They begin with vodka infused for two days with lemon and lime peels. Then they remove the peels and infuse another three days with cucumbers and basil. They also use a fresh mix with horseradish and celery seeds made by Rykoff Sexton. Finally, they top it off with a garnish of lime, a green olive and a celery stalk. Bottoms up!